Ozhotels is a group of independently owned and non-related hotels, motels and serviced apartments located across Hobart, Australia. Oz hotels is not an internet travel agent. Ozhotels allows you to deal directly with these hotels and apartments giving you the best possible rates for this Hobart accommodation. Why deal with a travel agent when you can compare and book your Hobart accommodation directly online with the hotels and save save save!!! 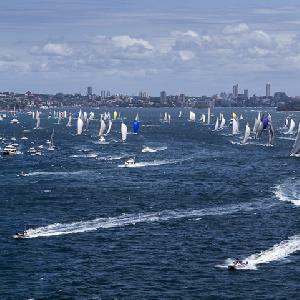 The Sydney to Hobart Yacht Race starts every year on Boxing Day in Sydney and end at Consitution Dock a couple of days later. This blue water ocean racing event is extremely popular with sailors the world over as it crosses one of the most difficult stretches of water in the world, Bass Strait. The race distance is approximately 630 nautical miles or 1,170 kilometres and attracts competitors from a variety of different countries. The New Years Eve fireworks display in Hobart is held along the city's spectacular waterfront and attracts numerous visitors from interstate and overseas. There are always 2 sets of firework display in Hobart, one early in the evening for the families with small children and then a large display at midnight for all of the party goers to ring in the New Year. There are lots of different locations from where you can see the fireworks display, but one of the best places is in any one of the many bars and night clubs along the Salamanca strip. At the Somerset on the Pier travellers will fine quality accommodation that is centally located only a short walk from Constitution Dock and Salamanca Place. 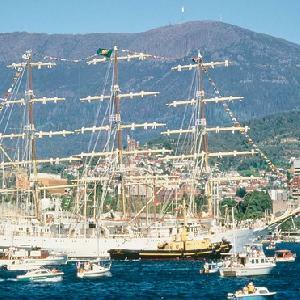 This means that the Somerset on the Pier is perfect for both business and holiday stays in Hobart. The Somerset on the Pier integrates the exterior of the historic waterfront building with clean and modern rooms. 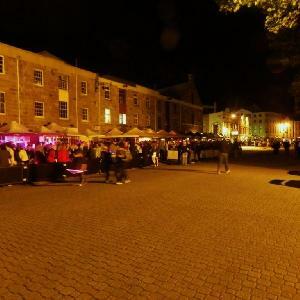 The property is also located close by to historic Battery Point, cruise centres, the Tasmanian Museum and Art Gallery, Sullivan's Cove and the Hobart's CBD with its fine restaurants and cafes. The accommodation provided by the St Ives Motel and Apartments is ideal for New Year Eve celebrations because it is centrally located in historic Battery Point only a few minutes stroll from delightful Hobart waterfront and Salamanca Place. The St Ives Motel and Apartments has a range of studio and 2 bedroom apartments that are all fully self contained and only minutes from all of the city's major attractions. 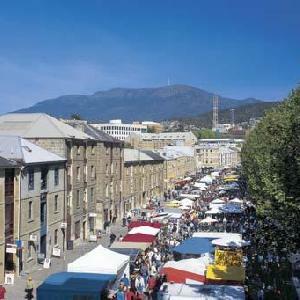 The Fountainside Hotel Hobart is located close to the famous Salamanca Market, historic Battery Point, Botanic Gardens, Hobart Aquatic Centre and of course the Hobart CBD. The property offers all business and leisure travellers a range of well appointed hotel and studio accommodation that are very affordable. 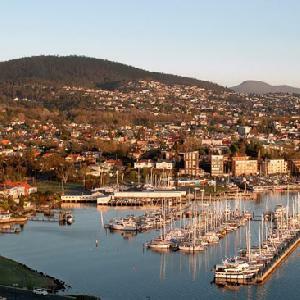 The Fountainside Hotel Hobart is also within easy walking distance to the numerous restaurants, bars and cafes in Hobart's fabulous waterfront precinct. 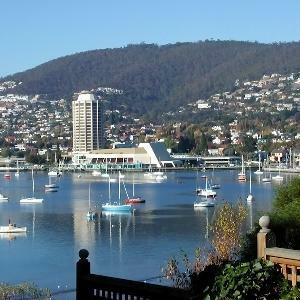 The Zero Davey Boutique Apartments has a number of self contained studio, 2 and 3 bedroom serviced apartments that are all located on the picturesque Hobart waterfront. The Zero Davey Boutique Apartments is only five minutes walk from the CBD, government offices, local theatres, Botanical Gardens, Salamanca Place, Tasmanian Museum and Art Gallery, numerous local galleries, craft shops, restaurants, cafes and nightlife entertainment. The accommodation provided by the Hobart Midcity Hotel is well located right in the heart of the Hobart central business district and just a short walk from the Hobart Waterfront precinct. Staying at this affordable city hotel you will also be just a short walk from city shops, cafes, restaurants and other services. 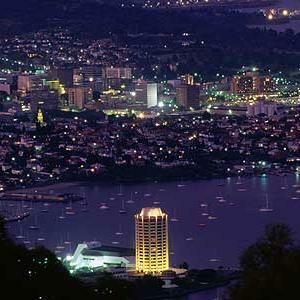 The Hobart Midcity Hotel features a bar & cafe on the ground floor, as well as gaming machines and Taskeno. Ideally located close to the Hobart city centre the Rydges Hobart Hotel provides affordable accommodation in a heritage listed building that captures the essence of what historic Hobart is all about. The Rydges Hobart features elegant self-contained accommodation in a lush garden setting, complemented by enthusiastic service from friendly staff who really care that you enjoy your stay in Hobart. 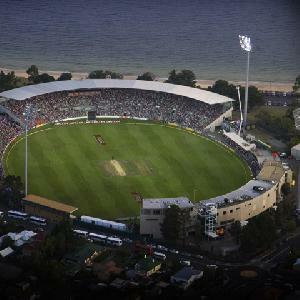 The Rydges Hobart provides the perfect base for exploring this city's and southern Tasmania's spectacular sights.